When you are under increased demands of any type (emotional stress, injury, illness, physical demands, exercise, etc. ), your body must increase energy production. To do this, your adrenal glands send signals to your liver to break down more calories and release them for immediate use. This energy production process creates added wear and tear on your body and this stress on the body needs to be managed. This is where the hormone cortisol is needed. It acts like oil in a car engine, provides anti-inflammatory lubrication and reduces wear and tear on your body. When stress increases, a healthy adrenal system releases cortisol to help protect your body. When the specific stress ends, the added demand on the body is reduced and your cortisol level returns to its normal baseline level within an hour. If you are under ongoing pressure and stress, your adrenals work overtime to produce cortisol and protect your body from this stress. If your body can't keep up, or if you don't have proper nutrients to maintain adrenal health, the beginning of adrenal fatigue and exhaustion can show. The first signs of this problem are poor stress tolerance, easy fatigue, irritability, and unstable mood. Over time, adrenal stress becomes more of an issue and it takes more and more for your body to return to normal. It is more difficult for your body to adapt to a stressful situation and it takes longer for you to come back to your baseline. This is the general pattern which leads to adrenal fatigue. Longer term symptoms associated with adrenal fatigue can be: increased aches and pains, allergies, immune related issues, and significant mood issues. How Can I Reduce Adrenal Stress and Fatigue? To manage stress on an ongoing basis and help prevent the onset of adrenal fatigue, various adrenal nutrients can help. Pantethine, Stress Helper, Vitamin C, Daily Energy Multiple Vitamin, and Super Coenzyme B-Complex are the basic supplements needed to help stabilize your adrenals, improve stress tolerance, and protect you from longer-term adrenal fatigue. The highest concentration of vitamin C in your body is in your adrenal glands. Upon stress stimulation your adrenals release vitamin C prior to the release of cortisol, essential for a normal stress response. Adrenals simply must have vitamin C or they cannot perform up to par. 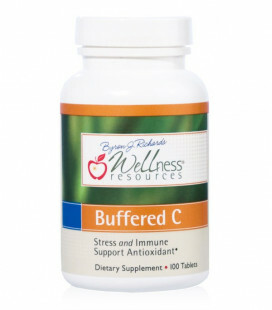 We use highly purified vitamin C, in unbuffered capsules or buffered tablets. 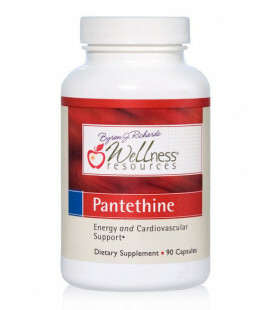 The nickname given to pantethine is "runner's high in a bottle" and it is also very good for brain fog. Pantethine is the immediate precursor to Co-enzyme A (CoA). CoA is a pivotal nutrient in at least 70 energy-related metabolic pathways, including those that make adrenal hormones.